You better stock up on olive oil. Xylella fastidiosa, a bacterium in the class Gammaproteobacteria, is an important plant pathogen that is known to cause phoney peach disease in the southern United States, bacterial leaf scorch, oleander leaf scorch, and Pierce’s disease, as well as recently citrus variegated chlorosis disease(CVC) in Brazil, where it was introduced from the USA. Apart from earlier, unconfirmed interceptions on grapevine material imported from the USA (EPPO Reporting Service 500/02, 505/13), the disease vector was absent in Europe, though infamous German-born global corporation BAYER already has a computer code for it: XYLEFA. Now it has hit for the first time Europe, having been reported already in in mid-October 2013. 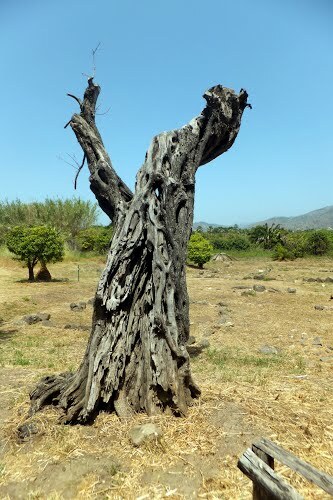 But the real question is, how does it come that now already 800,000 often centuries-old olive-trees in Salento, Puglia, are infected by Xylella fastidiosa?. Did the Italian and European authorities sleep for 10 months or was the bacterium inoculated artificially over a wide range at the same time? Though the vector is spread by insects, the epidemic has reportedly already cost producers US$335m (€250m, £200m) – a figure expected to rise. The growers shall now be forced to destroy many trees in the worst-afflicted areas when an emergency decree comes finally into force next week. The EU bureaucrats and their delaying “study-teams” certainly did sleep. ‘There will be a genuine “cordon sanitaire” of 8,000 hectares where it will be obligatory to destroy the trees’, stated Angelo Corsetti, a spokesman for Coldiretti, the national agricultural organisation. It seems that nobody is concerned with a thorough investigation how the infestation started and only the food-price speculators rub their hands. Will European wineyards be the next target?